Bullying is one of the most underrated and enduring problems in schools today and schools are a prime location for bullying. Bullying peaks at the 11 to 12 year old age groups. The saying “sticks and stones may break my bones but names will never hurt me”, is a lie. Children who are repeatedly victimized sometimes see suicide as their only escape. A 35 year study concluded that by age 24, nearly 70% of bullies (identified when they were 8 years old) will have a criminal conviction. Bullies lose their popularity as they get older and are eventually disliked by the majority of students and often seek out others bullies for allies sometimes forming a gang. Primary age children who were labeled by their peers as bullies required more support as adults from government agencies, had more court convictions, more alcoholism, more antisocial personality disorders and used more mental health services. Many adults do not know how to intervene in bullying situations, therefore bullying is often overlooked. Bullies are insecure, cowardly and prey on kids who will be easy targets, who won’t tell and who will not give them any trouble. Bullying occurs once every seven minutes. Over seven million kids right now are affected by bullying. On average, bullying episodes are brief, approximately 37 seconds long. The emotional scars from bullying can last a lifetime. 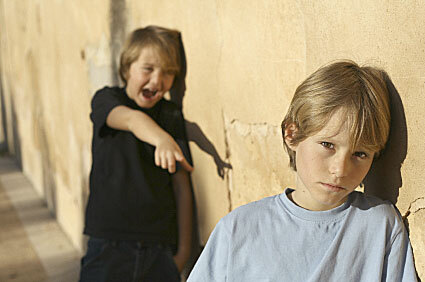 The majority of bullying occurs in or close to school buildings. Most targets of bullies are unlikely to report bullying for fear of making things worse. Only 25% of students report that teachers intervene in bullying situations, while 71% of teachers believe they always intervene which indicates to me that there is more going on then adults realize. Bully Proof kids will talk about bullying incidences with parents, teachers and friends. Bully Proof kids will stand up and be heard. Bully Proof kids keep a journal and know how to ask for help. I believe that bullying can be significantly reduced in schools if teachers, support staff, parent groups, student councils and administrators join together to take action against bullying.